All B&Bs are not alike. That's one of the great things about B&Bs, but it's also what makes choosing just the right one for each traveler a challenge. 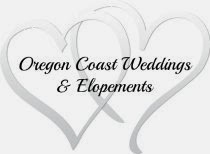 When making your decision on where to book, we suggest that you choose a member of the Oregon Bed and Breakfast Guild which has been inspected and approved and follows the Guild's Standards and Ethics. Did you know that in the State of Oregon a bed and breakfast with 2 or less rooms are NOT required to meet any state or county standards?! There is NO inspection by county health departments, NO food handlers training or permit is required and nNO entity checks to see if there is even any commercial liability insurance to protect you if you are injured on their property. If they have their own private water system, NO county or state agency is checking to see if the water supply is safe. You never have to worry about any of that when choosing a B&B that is a member of the Oregon Bed and Breakfast Guild! The member inns of the Oregon Bed and Breakfast Guild (OBBG) have all been inspected and approved by OBBG and even it's small 1 or 2 bedroom B&B members meet state standards and more importantly, OBBG standards which are even higher than the state in many cases! Here at Sandlake Country Inn we have been proud members of OBBG for more than 15 years and are also licensed and inspected by not only OBBG, but also our county health department twice a year with surprise inspections. Sandlake Country Inn has also been certified "Green" by the OBBG Green Inspected Program. 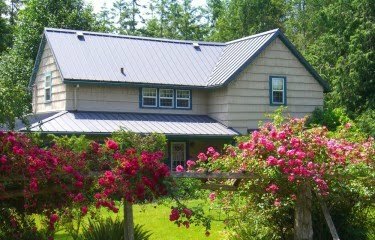 When making your choice of where to stay, choosing a B&B is a great choice, and choosing an Inspected and Approved Oregon Bed and Breakfast is is not only a great choice, but you can rest assured that you'll be healthy and safe too! "Your Romantic Getaway near Pacific City Oregon"
Whale watching takes place almost year-round on the Oregon Coast. The whales migrate past Oregon on their way to and from the waters off Alaska and Mexico. We watch whales in the winter from mid-December through January. Spring watching begins in March with the peak near the end of the month and finishes in June with mothers and babies traveling north. During Whale Watching Week, volunteers will be at selected locations to give you information about the whales, their migration and help with spotting. This program is Whale Watching Spoken Here. An estimated 18,000 gray whales will start their long journey along the Oregon Coast to their breeding grounds in lagoons in Baja, Mexico. Located within just a few minutes of Sandlake Country Inn are 3 excellent "Whale Spoken Here" spots; Cape Mears, Cape Lookout & Cape Kiwanda. Trained volunteers will be present at the 26 sites listed on the map to show visitors the gray whales. This is not the only time you can see whales. About 18,000 gray whales will pass by in about 4 weeks, from mid-December to mid-January. The same locations are still great viewing spots. The main body of whales is about 5 mile off shore, but some can be seen as close as 1-2 miles off shore. During the southern migration whales seldom stop to eat, but travel steadily to the Baja lagoons of Mexico. Trained volunteers will be present at 26 sites to show visitors the gray whales. This is not the only time you can see the whales. About 18,000 whales will pass by our coast during March, April, May and June on their way to Alaska's Bering Sea. Juveniles pass first followed by adults. Last are the mothers and babies. Many of them come close to shore feeding on Oregon's great food supply. In April and May you may be able to see mothers and calves resting in protected coves close to shore. We see this quite often from the Whale Center. The same locations on the map are still great viewing spots. There are about 200-400 gray whales that do not go as far north as Alaska to feed in the summer. We generally have feeding whales on the central coast from July through October. These whales are very close to shore while feeding and can often be seen from many of the same locations on the map. Oregon Coast Activity #25, From our blog series "101 Things To Do On The Oregon Coast". What a great time of year to explore south Tillamook County and the Nestucca Bay Wildlife Refuge. All year long, wildlife abound in our area, but fall and spring are especially wonderful for birders to view the migrations of an abundance of species. Once again, Grant McOmie along with Travel Oregon has produced a beautiful and informative video of our unique area. Grant's Getaway features the Nestucca Bay Wildlife Refuge and Little Nestucca River using Kayak Tillamook which has guided tours for all levels of ability. Never been in a kayak? No worries, Kayak Tillamook will teach you everything you need to know and provide all the equipment. Nestucca Bay Wildlife Refuge can also be reached by car. It's located just south of Pacific City off #101 on Christenson Rd. To really appreciate the beauty of the area around Sandlake Country Inn, you need to be able to take your time, get out of your car and get a little physical. After your outing, you can come back to your comfortable room, sooth your tired muscles in your room's jacuzzi tub and maybe even have your dinner delivered to your room. We look forward to helping you with your adventure! A couple weekends ago, our long time guests Mike & Sydney were here for a weekend getaway. This wonderful couple have been staying at Sandlake Country Inn for more than a decade! Their favorite room is the upstairs Starlight Suite. Our next couple is Diego and Agar. This was their first stay with us, but they assure us it won't be their last! Last year, Agar's sister surprised them with a Sandlake Country Inn Gift Certificate and they finally had a chance in their busy schedule to use it for a quiet getaway before the holidays. So, now it was time for check-out and out in the parking lot while loading up the car to go home, I hear shouts of surprise and joy! Turns out these two couples not only knew each other, but Agar taught both of Mike & Sydney's now adult children, and these two couples had become friends over the years. None of them had seen or heard each other during their entire weekend stay! Now that's private!! Thanks to these two couples, I walked around all day with a silly grin on my face. Priceless! "Private, Peaceful Accommodations on the beautiful Oregon Coast"
Can't figure out what to get that special someone or family member? A Sandlake Country Inn Gift Certificate makes a great gift! Who wouldn't love an Oregon Coast getaway? 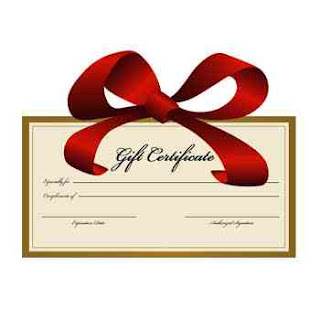 Now, easier than ever, you can purchase your gift certificate 24 hours a day from our website. Our new system allows you to purchase the certificate instantly and you can print up the certificate or e-mail your personalized link directly to the person receiving the gift! Great for those last minute gifts when you have no time to go shopping! No need to wait for it to be delivered by mail. If you're looking for the special gift for someone who would enjoy pampering, beautiful nearby beaches, fireplaces, double jacuzzi tubs and having a 4 course breakfast and beverages delivered to their door each morning, then give them a gift they'll never forget. Our award winning inn is located just 10 minutes from Haystack Rock in Pacific City, Oregon. The Beach Boys on the Oregon Coast! It's a blast from the past! Ok, so I'm showing my age here, but growing up listening to the songs of the Beach Boys are fond memories for a lot of us. This should be a fun trip down memory lane, so come to the beach, relax in our comfortable rooms, bring your special surfer girl or boy and enjoy some great music. Chinook Winds Casino is a quick 30 minute drive south of Sandlake Country Inn! Don't miss your chance to see this legendary group in person, when they make a tour stop at Chinook Winds Casino on November 11 & 12, 2011!